Welcome, Parents, Guardians, and Other Family Members! 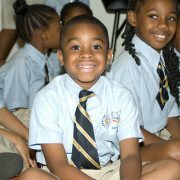 Imagine Foundations at Leeland Public Charter School provides families with a high-quality educational program and moral development in a safe, nurturing learning environment. We set high expectations for our students, our staff, and our leaders. 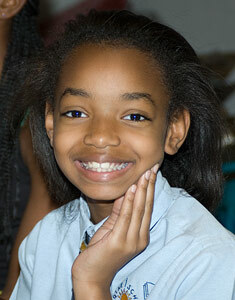 Imagine Foundations at Leeland is open to all children living in Prince George’s County, and is tuition-free. 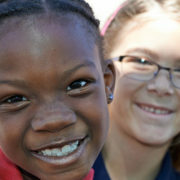 In order to enroll your child at Imagine Foundations at Leeland, you must apply through our online lottery process. The Parent Handbook is designed to inform you of the basic school policies and procedures. Please download your copy here and use it as a reference when questions arise. It is one of the many ways that we can ensure a consistent message is being delivered between school and home. Please review it together with your child. By Agenda Book: A quick note can let a teacher know any questions or concerns you have. By phone: Call (301) 808-4003 and ask for the teacher by name. If he or she is not available at the time of the call, you may leave a message. Please allow 48 hours for teachers to return phone calls, emails, or notes. Please note: During the summer, teachers are not at the school until a week before school starts. During that time, they are extremely busy participating in Professional Duty Days. Therefore, if you contact them you may not receive a response back until after school starts. You may also find answers to common questions on the FAQs page.